Redring offer a full range of dual cut-out immersion heaters and all are fully compliant with the latest applicable European safety standard, EN 60335-2-73. The Redring dual cut-out units are supplied with rod thermostat and a separate, 'secondary manual reset safety cut-out'. Models are available in either standard Copper or Aqualoy variants for use in more aggressive water. 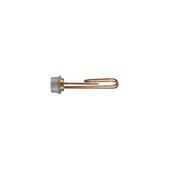 The Aqualoy heaters offer a three year warranty and the Copper versions are covered by a UK twelve month warranty. 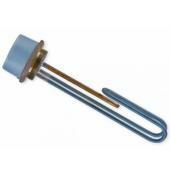 Thermostat: All dual cut-out heaters come with rod thermostats supplied.